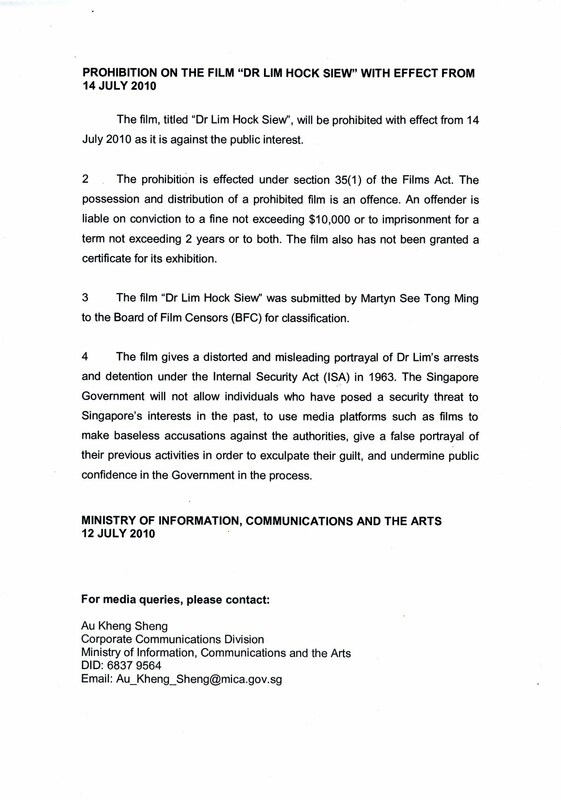 I asked MDA questions on their press release (see THIS) about the ban on the video recording Dr Lim Siew Hock's speech in a book launch. Please see my initial query HERE. MDA answered me today with their press release. Can anyone's reply be stupider than this? Hi Ravi, this is just MDA's subtle way of saying "we do not need to be accountable to you or any other members of the public because that's not who we serve". Nobody's as dumb as that. And we all know who they serve. Any self respecting individuals in Singapore wouldn't work for MDA. MDA has made a police report against Alan Shadrake but on the other hand appears that it doesn't even have the guts to lodge any police report against Dr. Lim Hock Siew for making an illegal speech. What does it imply ? That Dr. Lim is speaking the truth ? As I predicted... a non answer..